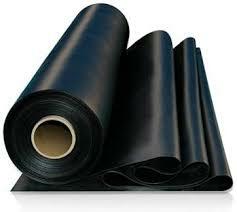 Lusida Rubber have made their presence globally especially in the field of customized molded rubber products. The company is also specialized in the supply of rubber extrusions and deals with molding standard rubber products. Lusida Rubber Products, Inc. assist in improving the current product designs. Lusida is the ultimate portal where an organization can rely upon to procure closed cell sponge extrusions and solid rubber. They are currently offering a range of extruded materials. The extrusion is a technique that is primarily used to develop objects. Initially, a material is inserted between a cross section. One of the advantages of solid rubber extrusion process is that it has the capacity to develop complicated cross sections. Sponge rubber extrusion process is quite similar to that of the solid rubber. Unlike molding, chemicals are included to form a sponge rubber extrusion. They are used in a range of applications. They manufacture closed cell sponge rubber that contains metal inserts and wire. Rubber extrusion is one of the preferred methods of curing rubber whenever a product is allowed to run in a series of cross section. The tooling expenses are very low when compared to sheet rubber. The extrusion process blends well with the post-cure process including cutting, vulcanization and punching holes etc. It is considered an alternative method to rubber molding.